Generations of beauty and wellness aficionados have stories to tell of the wonderful treats Flawless cooks up every year for its anniversary celebration. From the weekly discounts that made it possible for college girls to experience Nano Power Peel for the first time to the beauty bundles that allowed both young moms and office girls to save up to 40% on their whitening products and treatments, Filipinos—for the past 11 years—have considered December as the perfect time to take advantage of the biggest beauty offerings by none other than the country’s preferred clinic for face, body and medical aesthetic services—Flawless. 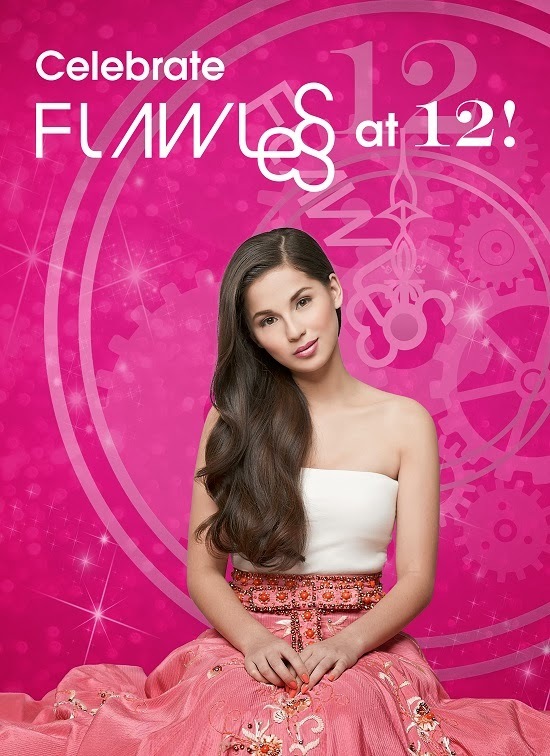 On its 12th year, Flawless celebrates the unique empowerment having flawlessly beautiful skin endows everyone by playing the role of fairy godmother and giving everyone easier access to medical-based aesthetic solutions. From December 1 to 31, the company is giving out 50% more products and services, all in the name of satisfying the skincare needs of beauty and wellness aficionados all over the country. The mechanics for the promo are simple and straightforward. For every eight sessions purchased, a client gets another four sessions of the same treatment for free. All sessions are valid all 2014 long and are transferable given that terms and conditions are met. 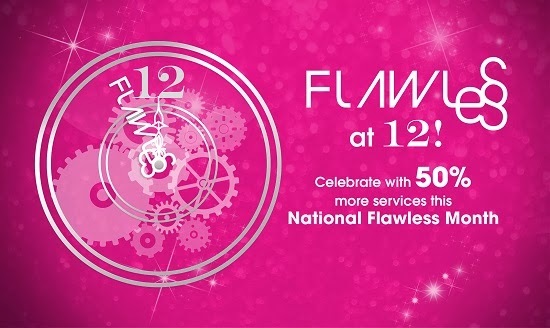 Additionally, Flawless is also offering top-to-toe makeovers to everyone who can successfully refer 12 new clients or finish its National Flawless Month stamp card by acquiring 12 stamps on or before January 15, 2014.